KNOXVILLE, IA – August 10, 2018 – Logan Schuchart hasn’t slept well the past 48 hours since his colossal mistake of missing the scales on his Qualifying Night. The driver of the Shark Racing No.1S battled Knoxville kingpin Brian Brown throughout the 25 laps to win Night Three of the 5-Hour ENERGY Knoxville Nationals and lock-in to Saturday’s Feature. Brown finished second to also lock-in. Veteran Paul McMahan and Knoxville regular Matt Juhl finished in third and fourth to transfer as well. Logan Schuchart set fast time in Group A Qualifying and transferred through his Heat Race to earn the pole. Brian Brown did the same in Group B to start on the outside of the front row. The duo quickly pulled away from the field and established themselves as the class of the field. Schuchart was glued to the bottom with Brown banging down the cushion and the pair went side-by-side for the better part of the first five laps. Schuchart had the advantage on the first four laps but Brown edged in front on the fifth circuit. 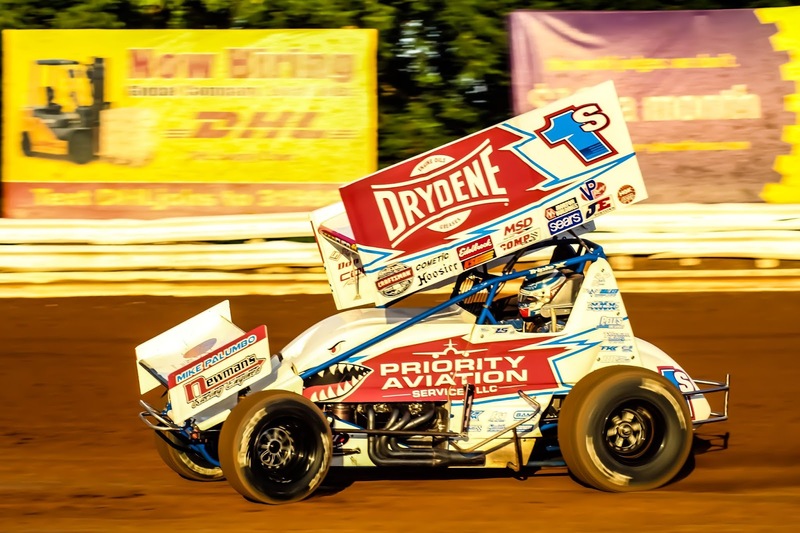 While Brown and Schuchart extended their lead, a torrid battle for the third and fourth positions between Paul McMahan, Sheldon Haudenschild and Matt Juhl took place. The trio battled fiercely for those coveted remaining two spots, forcing fans to choose which remarkable battle to watch. Up front, Schuchart remained committed to the bottom with Brown up top, Schuchart edged back in front of Brown on Lap 10 as the duo raced through heavy traffic on the incredible racing surface Knoxville Raceway provided. The only caution of the Feature flew after Spencer Bayston slowed with a flat tire with 10 laps complete, after Schuchart had taken the lead. The ensuing restart saw Sheldon and Juhl get crossed up, allowing McMahan, who had faded to fifth, to surge back to third. McMahan distanced himself a little bit in third while Haudenschild and Juhl waged war for the final transfer spot. Back up front, Schuchart and Brown continued to go wheel-to-wheel for the lead, Brown edged back to the lead on Lap 14 and led for two laps before Schuchart re-took the lead on Lap 16. Haudenschild occupied that coveted fourth spot with five to go, but slipped up in turn three and four with five to go allowing Matt Juhl to get back by for the final spot. Sheldon did everything he could to close back in on Juhl to grab that spot back, but came up short and finished fifth. South Dakota’s Matt Juhl locked-in to his first career Knoxville Nationals. “We drive here 5 hours [1 way] to run weekly and we’ve been getting faster every week. To make the A-Main at the Knoxville Nationals means the world. It’s a dream come true,” Juhl, who sits fifth in the track point standings, said after the race. The SPEED Sport World Challenge went to Dominic Scelzi, who earned a $10,000 payday, but more importantly locked-in to his first career Knoxville Nationals. “I have been dreaming of starting in the Knoxville Nationals since I was a little kind,” a jubilated Scelzi said. The biggest Sprint Car race in the world crowns a champion tomorrow with a 50-Lap, $150,000 to win Feature.